Diaporthe fungus, also known as seed decay, has been reported across the north central region of Iowa. 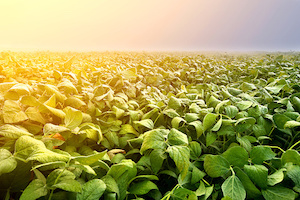 A delayed soybean harvest beyond the ideal window of time has led experts from the Iowa State University Extension and Outreach to take a closer look at the impact of rains over this past season. Throughout the north central region of the state, seed producers have reported that this year’s harvest of soybean is testing positive for Diaporthe fungus, also known as seed decay. This is resulting in lower than normal germination rates of seed. Seed decay is often characterized as cracked, shriveled seed with white chalk-colored mold on the seed surface. Experts believe that much of this fungus is the result of the large amounts of rain that occurred throughout August and September. Infected seed has a lower probability of germination in the following season when planted. In addition, if soil conditions are wetter and cooler than normal, the survival and stand count of plants can be drastically impacted. Producers should ideally treat their seed with a fungicide to increase the chances of germination and to prevent seedling diseases. The Iowa State University Seed Lab can test the germination rate of seeds to verify if and what percentage of seeds are infected with Diaporthe fungus. Depending on the results, the use of a seed treatment may be necessary. A proactive approach to seed production for the next year involves applying foliar fungicide applications to protect seed infection between the R3 and R5 growing sessions.